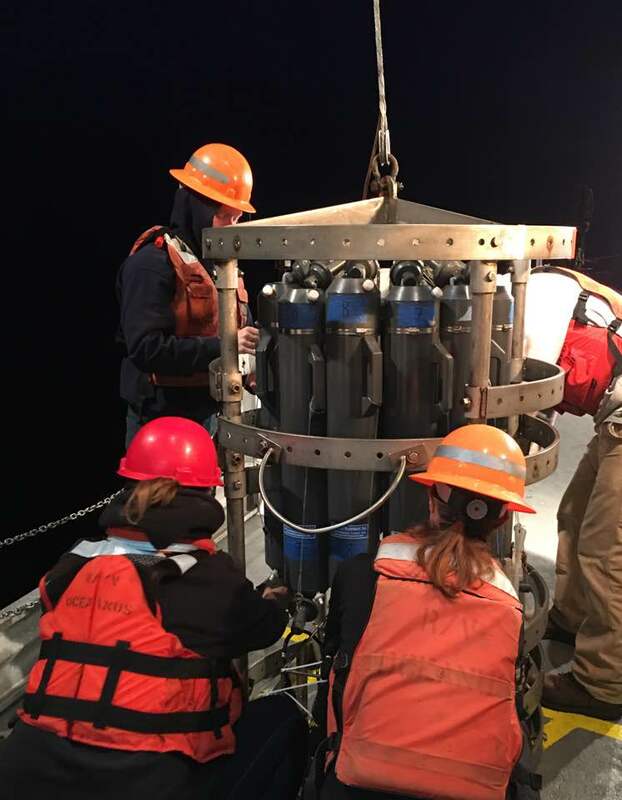 Our last day out at sea started with deploying the CTD in the Astoria Canyon in the dark. Our marine mammal surveys got off to a slow start but we were seeing a lot of jellyfish, juvenile sunfish, seabirds, and even some tuna. 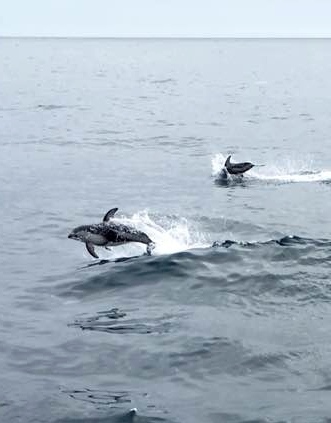 All of a sudden on the horizon emerged a large pod of Pacific white-sided Dolphins (40+) that started riding the bow of the research vessel. Before they had even departed, a large pod (30+) of finless Northern right whale Dolphins joined them. What a sight to behold! 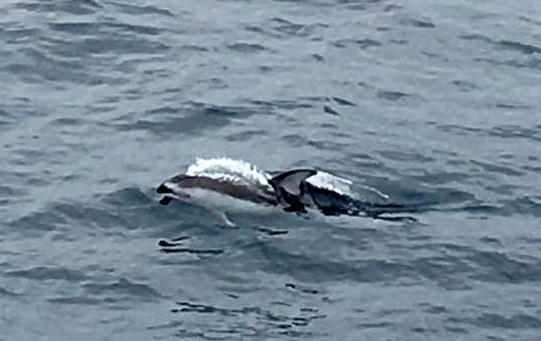 The researchers from OSU’s Marine Mammal Institute estimated that we saw over 400 Pacific white-sided dolphins and Northern right whale dolphins today in addition to the numerous humpback whales we encountered. 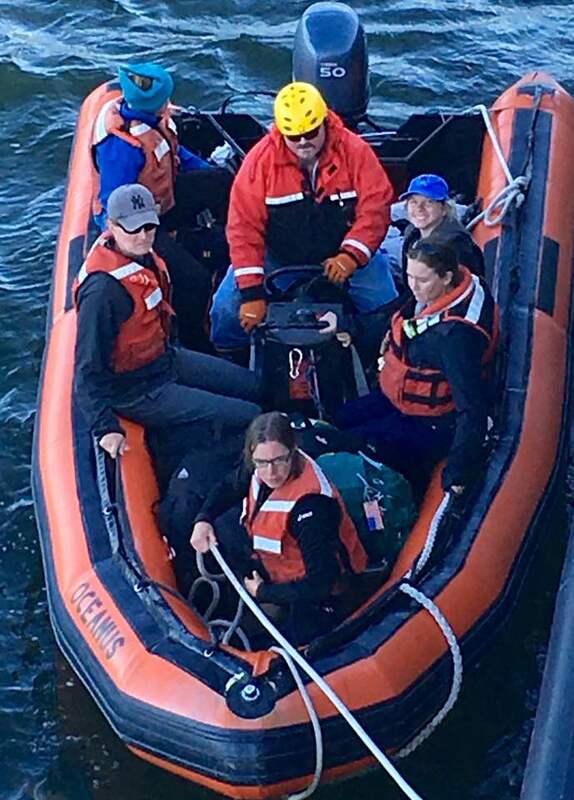 Another amazing day out at sea with Oregon coastal teachers and students! What an amazing cruise it has been! 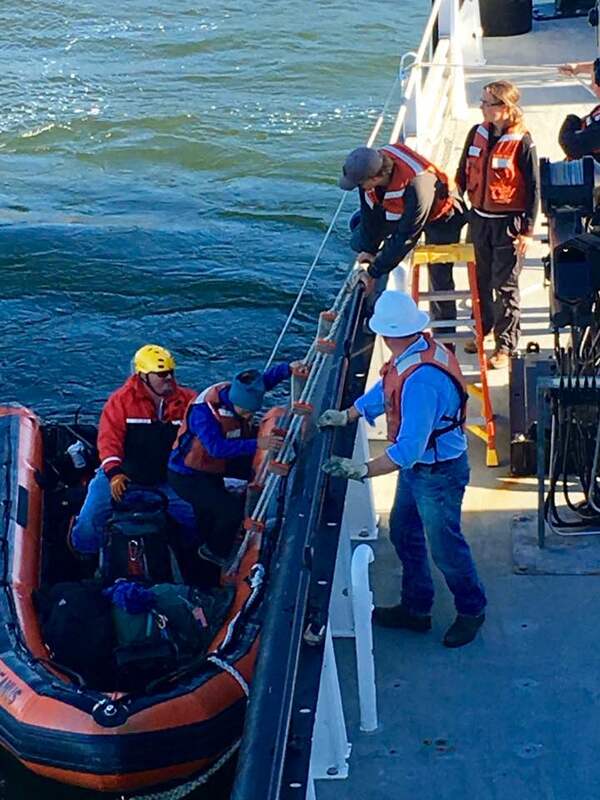 Everyone soaked up the sun on the flying bridge as we made our way into the Columbia River where we dropped off our chief scientist and OSU graduate students before making our way to Portland where we will engage in two days of outreach activities. 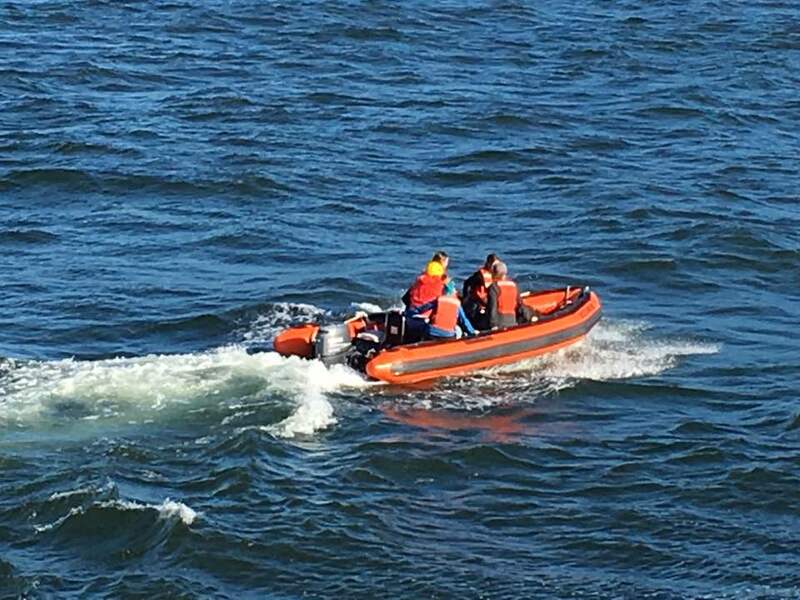 Our captain used a small boat to shuttle the researchers into Astoria so they can return to work tomorrow. Getting the science party and all their gear off the ship proved to be quite an ordeal involving a crane, step ladder, rope ladder and half the ship’s crew! We were sad to see them go and just a little jealous of their ride in the red rocket. We are grateful to them all for generously giving their time to share their knowledge and passion with us. 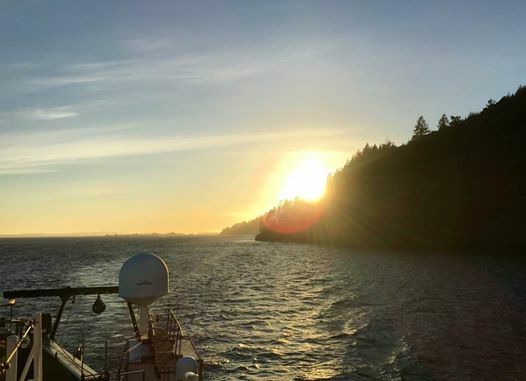 We experienced a gorgeous evening steaming up the Columbia River towards Portland on the R/V Oceanus!